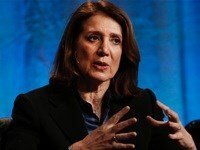 SAN FRANCISCO, US: Google on Tuesday named as its new chief financial officer Ruth Porat, who will move from a similar position at the investment banking giant Morgan Stanley. Porat will replace Patrick Pichette, who announced his retirement this month after nearly seven years as one of the internet titan's top executives. Porat has been at Morgan Stanley since 1987 and has been vice chairman of investment banking, global head of the financial institutions group and co-chief of technology investment banking. She has been the lead banker for big tech firm financing, including for Amazon, eBay, Netscape, Priceline and VeriSign. Porat, who will start the new job May 26, has a bachelor's degree from Stanford University, an MBA from the Wharton School of the University of Pennsylvania and another master's degree from the London School of Economics. "We're tremendously fortunate to have found such a creative, experienced and operationally strong executive," said Google chief executive Larry Page in a statement. "I look forward to learning from Ruth as we continue to innovate in our core - from search and ads, to Android, Chrome and YouTube - as well as invest in a thoughtful, disciplined way in our next generation of big bets." Two weeks ago, Canada-born Pichette laid out his reasons for retiring in a heartfelt post at Google+ social network, explaining in touching detail how after more than 25 years of non-stop work he is shifting gears to explore the world with his wife, Tamar.